I escaped the city for a few summers to work at a bee farm, some time ago. 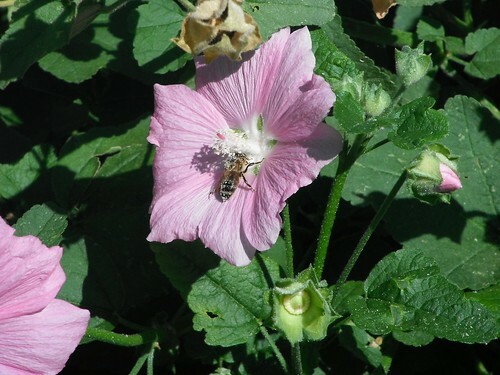 In the Honey House I delighted in watching individual bees, fuzzy and wide-eyed as kittens. As one would come trundling along the narrow path of a board edge, I would lower my face to her level at the end of her path. She would stop short and sit back on her haunches to study the new development. After a pause, recognition would dawn and she would turn tail and flee, scurrying back the way she came. They always seemed to be able to make out the monstrously large face of another being in my features. I was surprised that they related to their fellow creatures in a way that I haven’t noticed in other insects like moths, flies, or mosquitoes. Maybe it’s the social animal coming out in them? 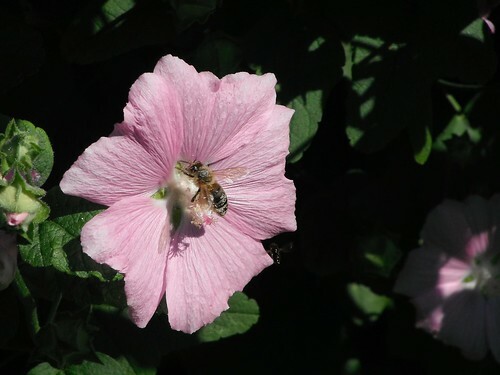 This entry was posted in country escapades, nature fix and tagged honeybees, insect life, social animals, summer on September 14, 2013 by misshermit.